According to information received by a Sputnik correspondent, the bombing carried out by the Syrian military aircraft on the positions of the Free Syrian Army (FSA) in the area of al-Bab, which had been captured by Daesh, has halted the advance of the FSA fighters, which are supported by Turkey. 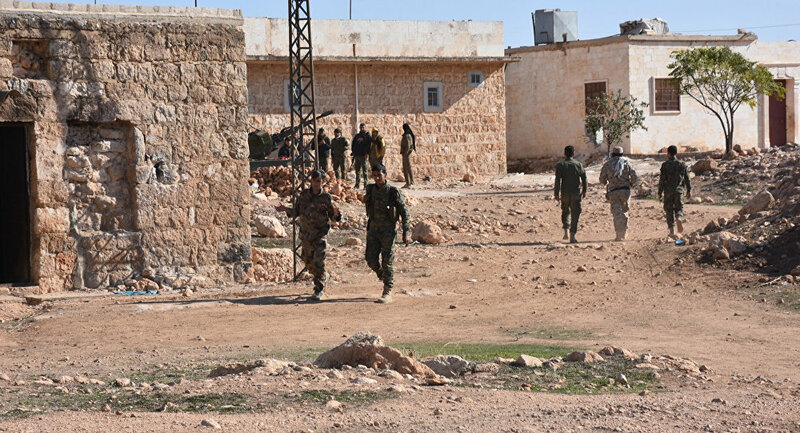 Meanwhile, the Democratic Syrian Forces, which include the Kurdish self-defense units YPG, are also moving from Afrin and Manbij towards al-Bab in order to establish their own control there and to consolidate the Kurdish cantons of Afrin and Kobani. Meanwhile, Syrian government forces comprising 10,000 soldiers have demonstrated significant advances in the operation to liberate al-Bab. The Syrian Army has liberated most of the settlements to the west of al-Bab from Daesh terrorists. It is reported by Sputnik Turkey that there are about 3 km left for the Syrian Army before it reaches the city. Meanwhile, according to the Sputnik correspondent, Daesh militants’ kidnapped two Turkish soldiers near the village of Ed Dana to the west of al-Bab in the framework of operation Euphrates Shield. It is reported that the Turkish soldiers were captured during an attack by the jihadists. They were first taken to al-Bab and from there to Raqqa.